Cart from the grocery store on the old wooden background. 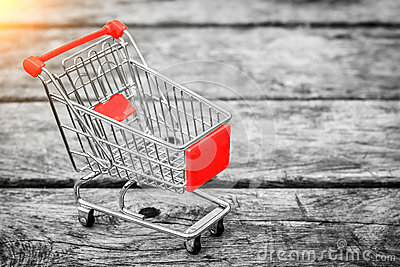 Empty shopping trolley. Business ideas and retail trade. Advertising of food products.